Tell me, do you ever balter? We don’t do it enough, though it would make us happier! No clue what I’m talking about? I wasn’t familiar with this word myself, but to balter means “to dance without particular skill but with enjoyment”. I love this meaning – all too often we hold ourselves back because we’re afraid we’re not good enough. We don’t start a project because we believe we don’t have the qualifications for it, or we think someone else is better at it anyway. I’ve been guilty of such self-sabotage in my own life as well. But moving across the world and leaving my comfort zone has pushed me to “balter”. To start this blog, without a degree or work experience in fashion. And to stop thinking there are millions of bloggers out there that do a better job (which is probably true – but hey, you got to start somewhere!). And guess what, here in Thailand no one looked at me strangely. People welcomed my idea with enthusiasm and were happy to jump on the boat. Entrepreneurship, creativity and an open mind are rooted in Thai culture, and it’s so inspiring to be a part of that! Parn is one of those inspiring people in Bangkok. It’s not a coincidence that she chose “Balteri” as the name of her shoe brand. It perfectly matches her signature style as well as her personality. Parn has always had a passion for design and chose to study interior design. 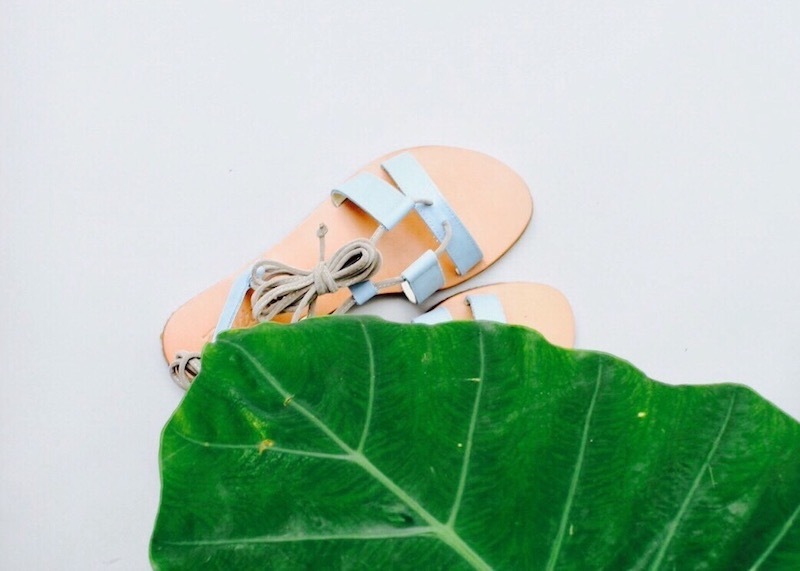 She started working in this field, but soon felt she was interested in so many other things as well – like designing shoes! The price is as straightforward as the design: each piece costs 16OO THB (or around 42 EUR / 48 USD). Funny fact about Parn’s collections: they are called “Knokke” and “Halle”, the name of two Belgian cities. 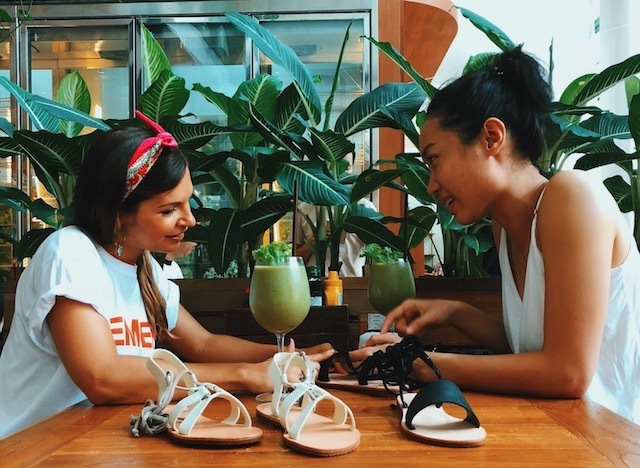 I couldn’t believe my ears at first – how does a Thai girl come up with the idea to name her shoes after a small city in a small country on the other side of the world? The perfect match with this watch from Thai brand Simpl and Wayuu lion bag from Wayuubag_bkk. Wearing my pair of Parn’s collection reminds me to balter, each step of the way! You can find the collection on Balteri’s Facebook page or on Instagram (@balteri_). For questions or orders you can contact Parn directly by email (balteri.goods@gmail.com) or LINE (ID parncz). Balteri also ships worldwide. love these shoes and love your blog! Hi Angela, so happy to read that! 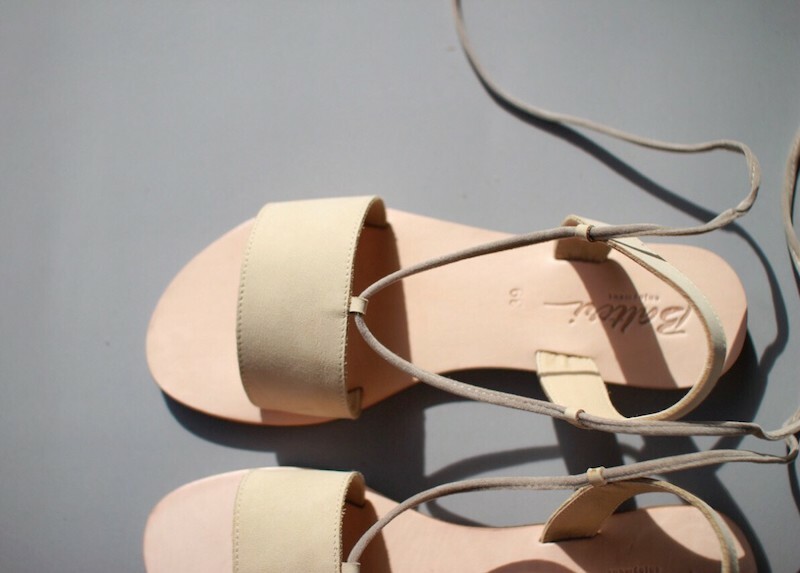 These sandals are so comfy, perfect for walks around Bangkok (or elsewhere :)). Thank you for dropping by and leaving a message!